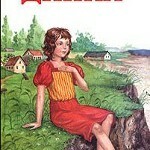 Vladimir Levi "The non-standard child"
About education of children tons of books were already written, and the new are published every year. But only the best books pass test time, remaining actual within decades. 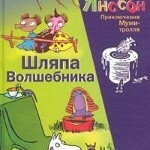 One of such books — is Vladimir Levi's book "The non-standard child". 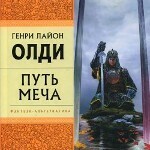 Henry Lyon Oldi "Way of a sword"
"Way of a sword", perhaps, one of the most known and thus the most ambiguous novels of the Kharkov science fiction writers Dmitry Gromov and Oleg Ladyzhensky writing under a pseudonym Henry Lyon Oldi. 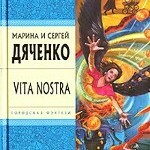 Marina and Sergey Dyachenko "Vita Nostra"
"Vita Nostra" by right is considered one of the best books of a creative tandem of spouses of Dyachenko. 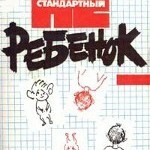 In what a secret of popularity of this work? Yulia Vysotskaya "We eat houses"
Yulia Vysotskaya's telecast "We eat with the name at home" speaks that the best food is the food cooked by the hands. Such food brings joy and pleasure to your relatives and favourite people, turning each meal into a small family holiday. 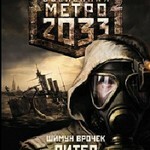 Dmitry Glukhovsky of "Subway 2033"
2033. The whole world lies in ruins. The mankind is almost completely destroyed. Moscow turned into the ghost town poisoned with radiation and occupied by monsters. 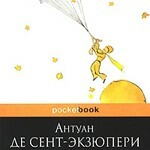 Antoine de Saint-Exupéry "Little Prince"
The wise and "human" fairy tale parable in which it is simply and penetrating told about the most important: about friendship and love, about a debt and fidelity, about beauty and intolerance to the evil. Shimun Vrochek "Subway 2033. St. Petersburg"
Shimun Vrochek "Subway 2033. 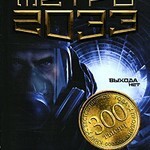 St. Petersburg" - continuation of the well-known book "Subway 2033" of Dmitry Glukhovsky - the cult fantastic novel, the most discussed Russian book of the last years.